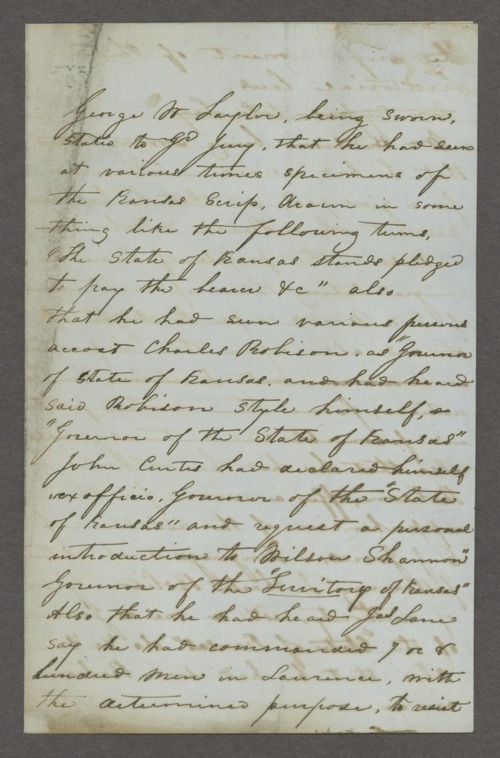 Material relating to the case against Charles Robinson on the charge of usurpation of office. This charge was due to Charles Robinson being elected governor under the Topeka Constitution of 1855, a free state constitution that was never ratified. In May 1856, while en route east, he was arrested for treason and conspiracy against the United States government. After being held prisoner for several months at Lecompton, the territorial capital at the time, he was finally acquitted.